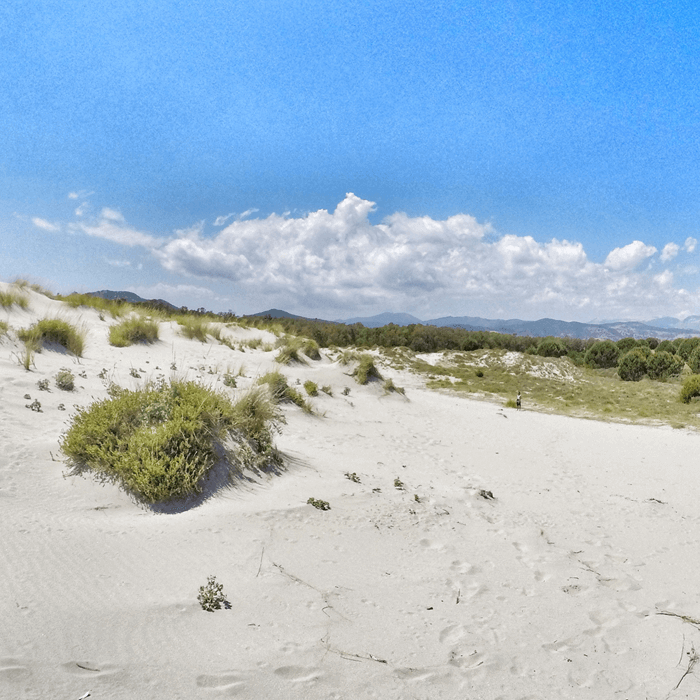 Hike, relax, and enjoy the Sardinian sea and nature, while exploring with us some of the best beaches of Baronia. 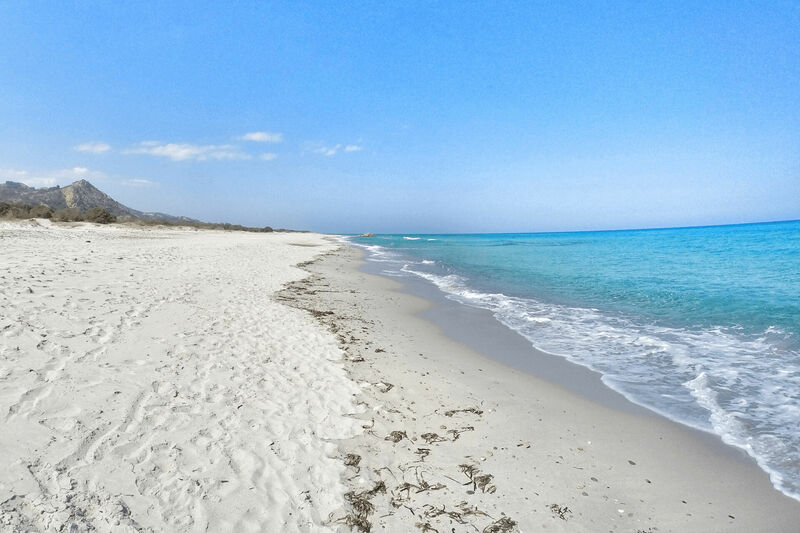 From the famous beaches of Capo Comino, all the way to the beaches of Berchida and Bidderosa, true natural paradises. Additional notes es. number of tour participants, number of kids, etc. 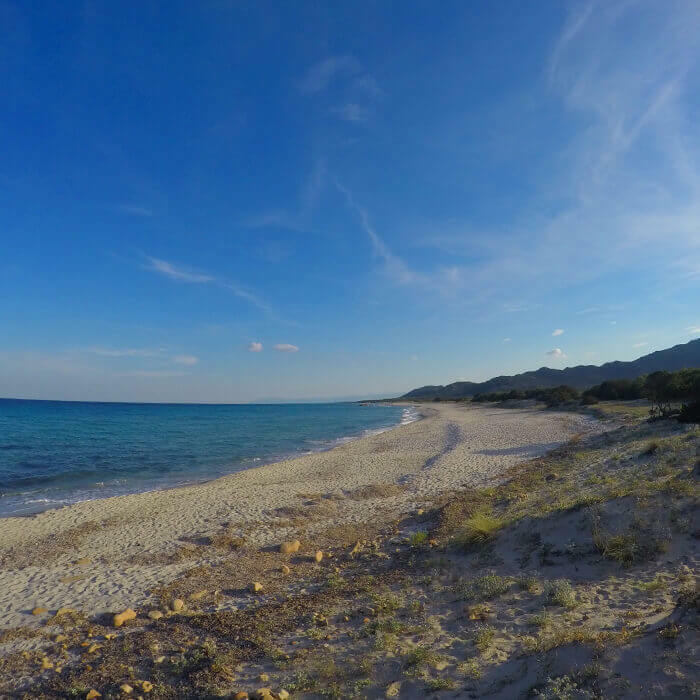 Come with us for a tour of our favorite beaches of Baronia: Capo Comino with its white sand dunes, the wild Berchida beach, and the beautiful oasis of Bidderosa beach. We will pick up the tour participants at their hotels with our 8-pax tourist van, and drive to the beginning of the beach path, from where we will hike to enjoy the stunning views from Capo Comino’s old lighthouse (30 min on the way up, 20 min on the way back). 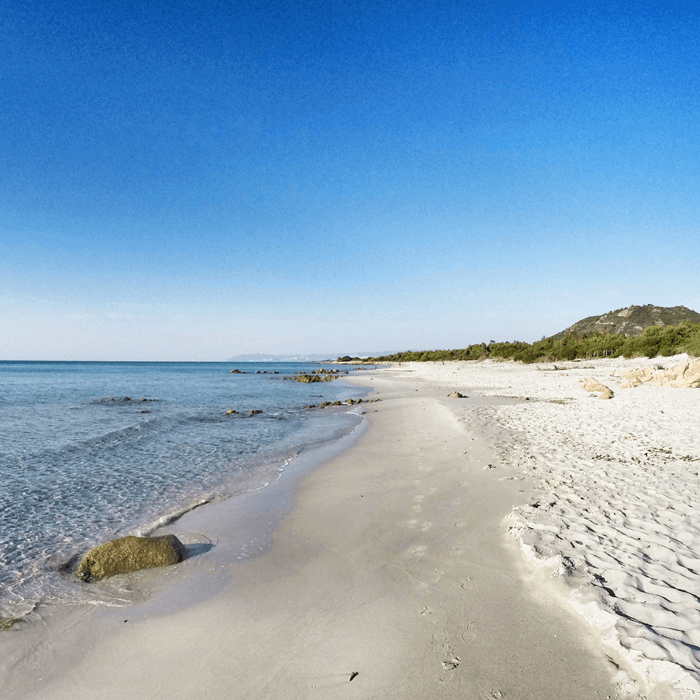 After the old lighthouse we will plan 2 beach stops to let you discover and enjoy the beautiful beaches of Capo Comino (1.5h stop) and Berchida beach (2h stop). For those who are willing to go for another short walk, we’ll be happy to extend the hike to the last beach of Oasi Bidderosa, while those who want to rest can wait for the group’s return while keeping enjoying the beautiful Berchida beach. And for those who get bored of sunbathing and swimming, we carry plenty of beach gear: frisbee, racquetball, bowls and snorkeling kits! On the way back from the Baronia beach we will stop for a visit to the small and beautiful fisherman village of Santa Lucia, before dropping the participants off to their respective hotels. 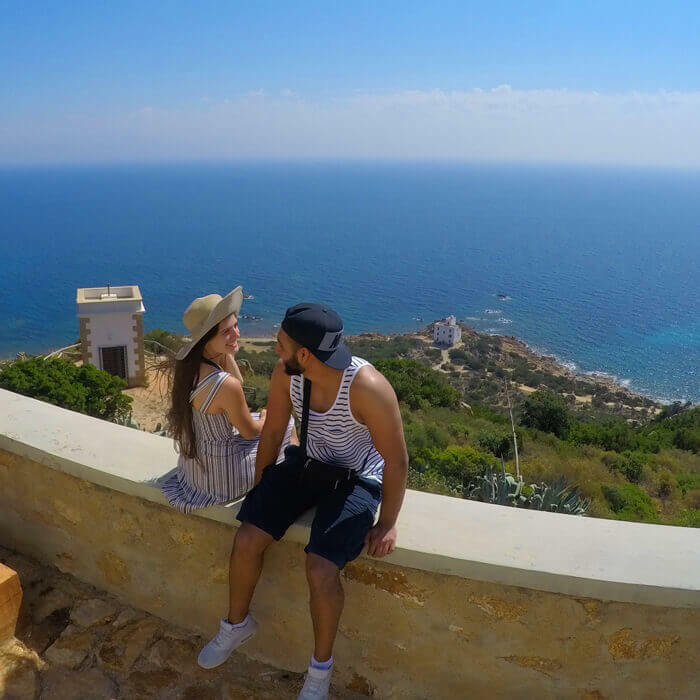 Tour highlights: Capo Comino sand dunes, Capo Comino beach, Capo Comino’s old lighthouse, Berchida beach, Bidderosa beach, Santa Lucia fisherman village. Tour duration: 10h (8.30AM to 6.30PM). Suggestions for this tour: Wear good walking shoes (no open shoes, sandals or flip-flops) and comfortable clothes for the hike, and bring your beachwear and beach towels to enjoy the beach stops. Bring also one bottle of 1.5 lts. drinking water per person, and sun protection. We carry beach gear for those who get bored at sunbathing and swimming: frisbee, racquetball, bowls and snorkeling kits. We loved guiding Asia on a tour to the best beaches of Baronia and beyond! 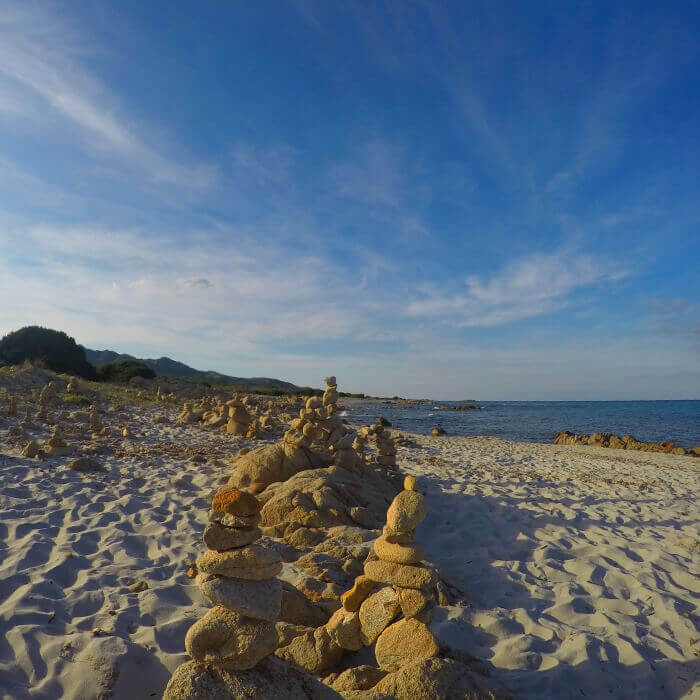 Read what they say on their great review on Tripadvisor about her Sardinian Slow Experience with our Gallura and Costa Smeralda Tour. 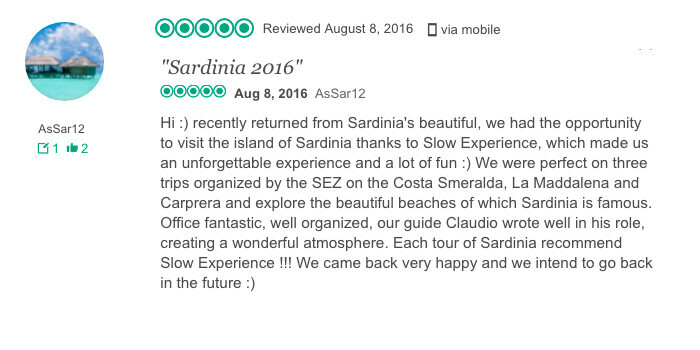 Click the banner below or button to see all the 5 stars reviews on Tripadvisor for Sardinia Slow Experience.